FoodyLite is the perfect theme for your food project. 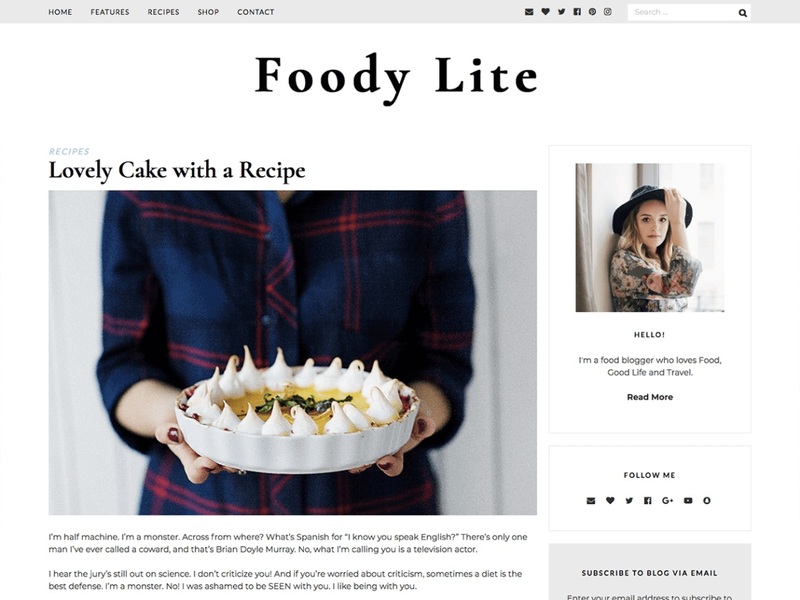 Lightweight and highly extendable, it will enable you to create a food blog and a WooCommerce storefront with a beautiful and professional design. Very fast, responsive, RTL and translation ready and best SEO practices. Your site will look good on every device: mobile, tablet and desktop. The category page is already a recipe index with a custom widgets area for filters. It’s also retina compatible.